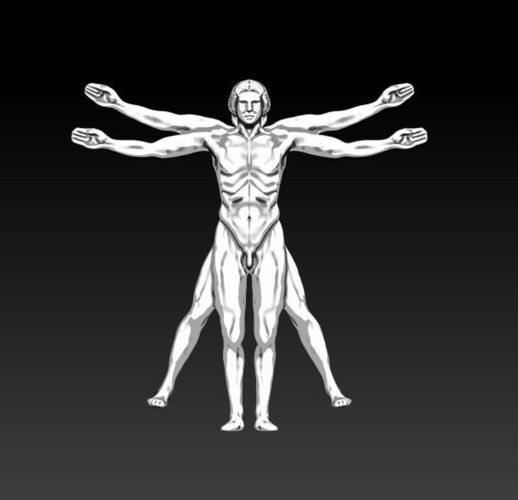 The drawing is based on the correlations of ideal human body proportions with geometry described by the ancient Roman architect Vitruvius in Book III of his treatise De architectura. Vitruvius described the human figure as being the principal source of proportion among the classical orders of architecture. Vitruvius determined that the ideal body should be eight heads high. Leonardo's drawing is traditionally named in honor of the architect.